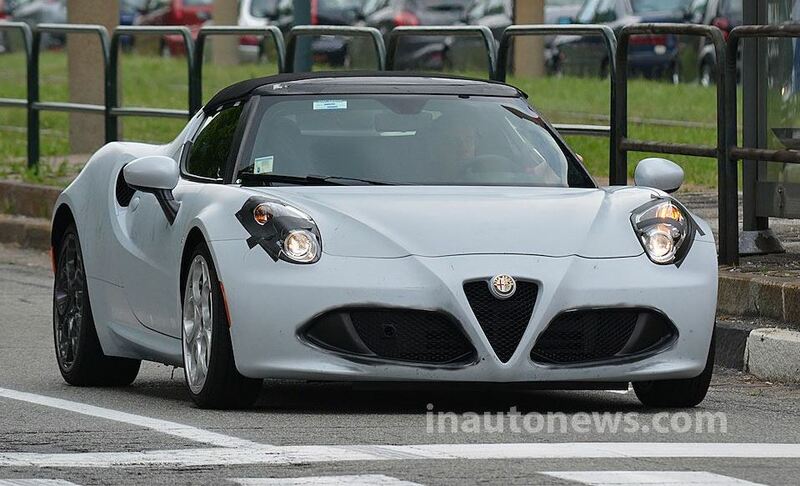 Spy photographers from Inautonews publication have recently managed to caught on shots the Alfa Romeo 4C Spider, which is due to be unveiled at the 2014 Paris Motor Show, this October. 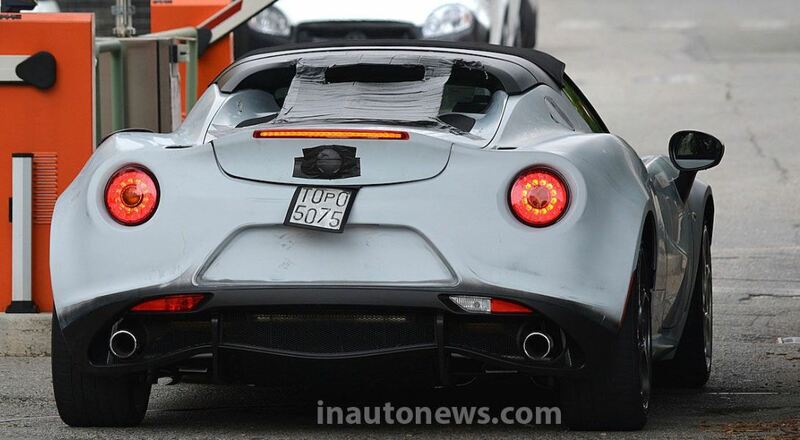 The rumors concerning the upcoming of the convertible 4C Spider have now been confirmed, since the shots with the vehicle are a proven fact that the model is coming. The new Alfa Romeo 4C Spider will be coming big time, with lots of tweaks at its body, as it will sport a lot of carbon fiber components and other lightweight materials, at the windscreen frame or on the spoiler. 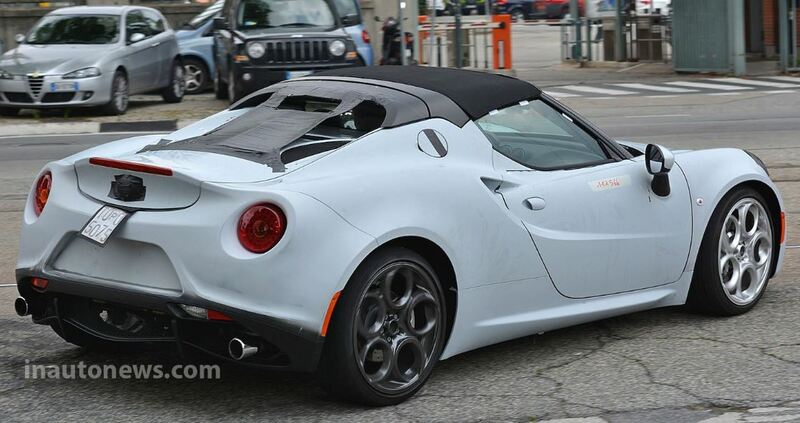 More than that, the fresh Alfa Romeo 4C Spider will lose weight due to its carbon fiber materials used for the rollover bars, meaning that the convertible is now lightweight than the coupe. As far as the engine goes, the Alfa Romeo 4C Spider will be powered by the same 1.75-liter four-cylinder turbocharged gasoline unit, found on the present model. The engine develops 240 horsepower and 359 Nm of torque and it is hooked at a 6-speed dual-clutch TCT transmission.